Life is a journey. We’re blessed to be a part of it. Chickens are the ultimate Pets with Benefits. Housing chickens. They’re cheap to house – I built my chicken “tractor” out of recycled materials and some pieces of wood for very little money. Their nesting box is a plastic crate nailed to the side of the shelter end of the tractor, and their bedding is hay – one bale of hay lasts all year. You can see the egg hatch in this photo. The shelter end of the tractor is made from recycled swimming pool cover. The tractor has no mesh on the bottom so the chooks can graze freely. Moving the tractor. 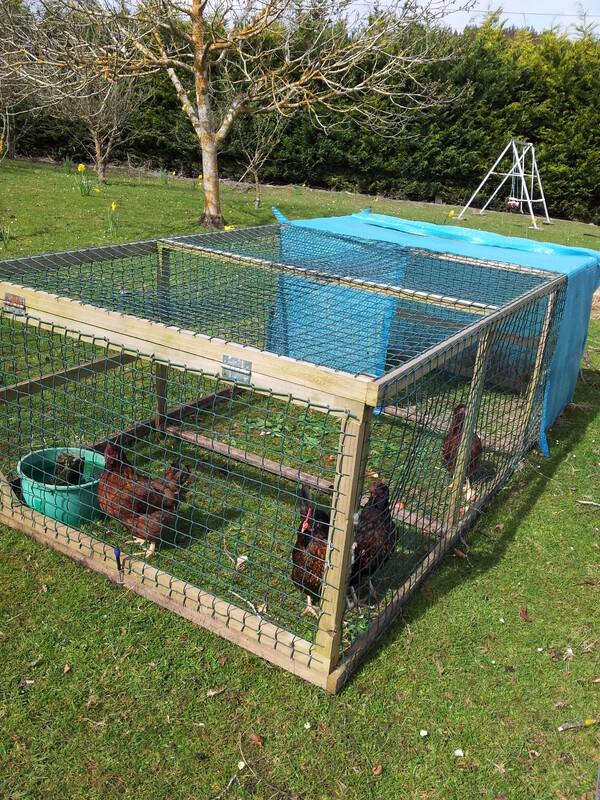 If you have a portable coop like mine, or even use a rabbit hutch for your chickens (they’re ideal), you can give your chickens access to fresh grass every day, then just move the coop along when they grass is gone. Their droppings fertilise your garden, and the grass helps keep your chickens healthy. Chickens for renters. If you keep a small number of chickens in a portable coop or rabbit hutch, they’re a suitable pet even for renters. Check with your landlord, but many of my friends rent AND keep chooks! 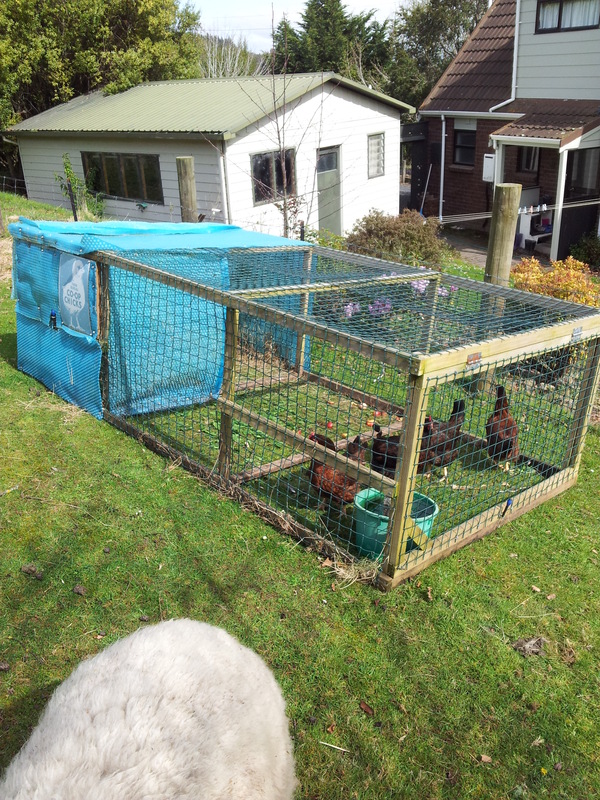 Better yet, with a portable coop you can take your chooks with you when you move! Feeding chickens. Chickens end your family’s food waste and cut down on garbage going out to the landfill. We keep an airtight container on the kitchen bench for everything we don’t eat, and it all goes to feeding our chickens every day. Chickens will eat practically anything. Mine won’t eat avocado skins or pits, and they’re not so keen on carrot ends, but everything else (including leftover chicken!) goes to the chooks. I have friends who also give me their food leftovers. They simply keep a bag in their freezers and, when it’s full, they give me the bag which I give to my chickens. This way, I rarely have to buy chicken food. My chicken tractor, which fits up to six birds. Eggs for free! My chickens lay an egg a day, pretty much all year around. That’s not too bad for an animal that gets rid of my food waste problem too! Natural insecticide! Did you know that families that keep chickens have fewer flies in their homes! It’s true. Chickens eat flies, and they’ll help keep other insect populations down. Choosing your chickens. 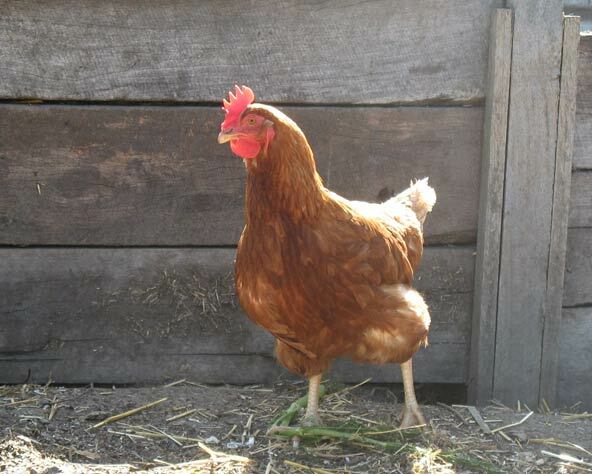 When choosing your chickens, you may want to opt for a great egg-laying breed. Breeds vary a lot. Mine are Hylines, a smaller breed well known for laying daily. Google your breed before buying. A hyline chicken, the breed that I keep. They’re great layers – I get an egg a day most days! Oh no! That’s a law that really needs to change! I’d love to keep chickens, but we’re in the UK so we can’t use food scraps and landlords don’t seem fond of chickens which is such a shame.